Worms reproduce at a rapid rate and can be harmful to the aquatic life of your aquarium. They also pose a direct threat to coral reefs and other marine life. It is for this reason that they need to be eliminated as soon as possible. Some worms can even grow up to 24 inches. Various types can also have a negative effect on different fish and crustaceans. 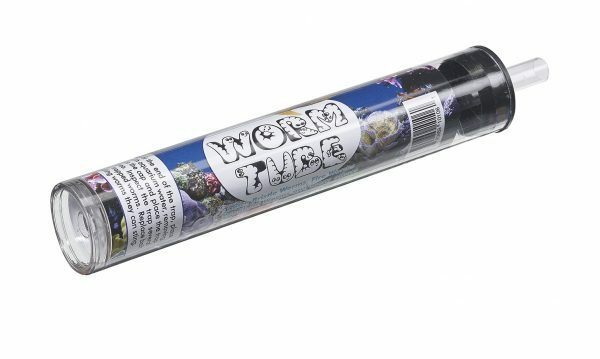 If your aquarium riddled with spaghetti worms and fireworms or if bristle worms are making it difficult to maintain your aquarium, you should definitely try the Ultralife Worm Tube Trap. An extremely effective product, you will see instantaneous results after using it. It does its job quickly without causing any sort of harm to the coral, the crustaceans or the fish that reside in the aquarium. The Ultralife Worm Tube trap itself is quite small, with measurements of 1.1 inches x 6.6 inches and is very easy to use. All you have to do is place bait in the trap and fill it with aquarium water. Trying removing as much as air as you can. Put the cap back on and place the trap in the aquarium. All that remains for you to do is check the trap multiple times a day. You may have to replace the bait as required. However, you must be careful while removing the worms as they can often sting.